I wasn't able to find a reading comprehension text to show my adult students how conditionals can be used in practice. So, I created a text packed with all 3 conditionals (1, 2, 3). 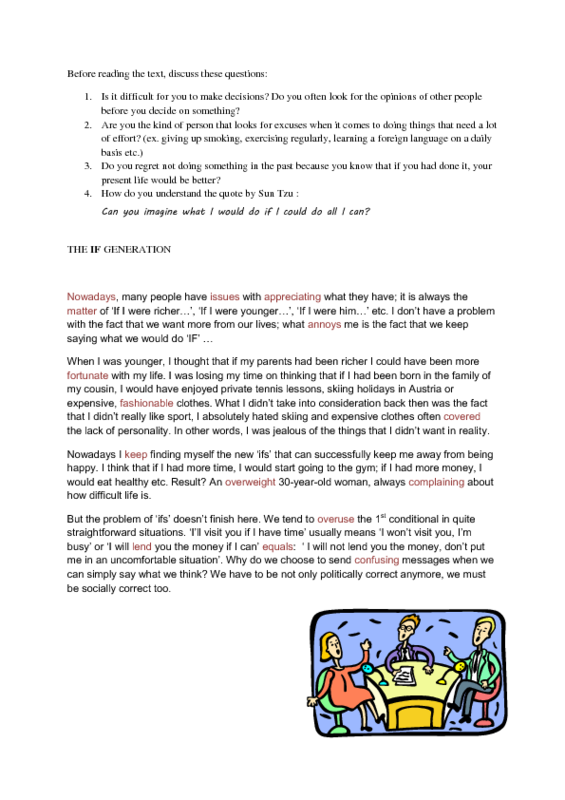 There is a speaking warm-up followed by the text itself, questions connected with the text and a vocabulary practice part. Key is included. Suitable for teenagers and adult students.